In 1987, the Indo-French Centre for the Promotion of Advanced Research, IFCPAR (CEFIPRA), was established under the Ministry of Foreign Affairs in France and the Ministry of Science and Technology in India. 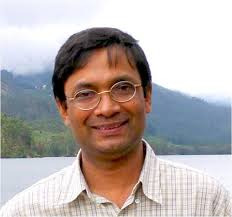 Its purpose is to promote scientific and industrial exchanges between Indian and French groups in all scientific disciplines (mathematics, physics, chemistry, biology, Earth and planet, Computers, Environment). Following a visit by a delegation of 30 Karnataka scientists and industrials in Aquitaine in November 2013, it was decided that collaborations between university and industry would be developed between the Aquitaine Region (cap. 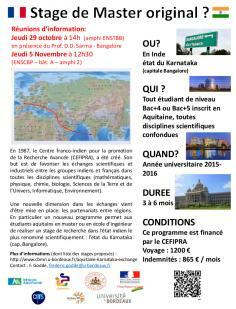 Bordeaux) in France and the State of Karnataka (cap. Bengaluru) in India. 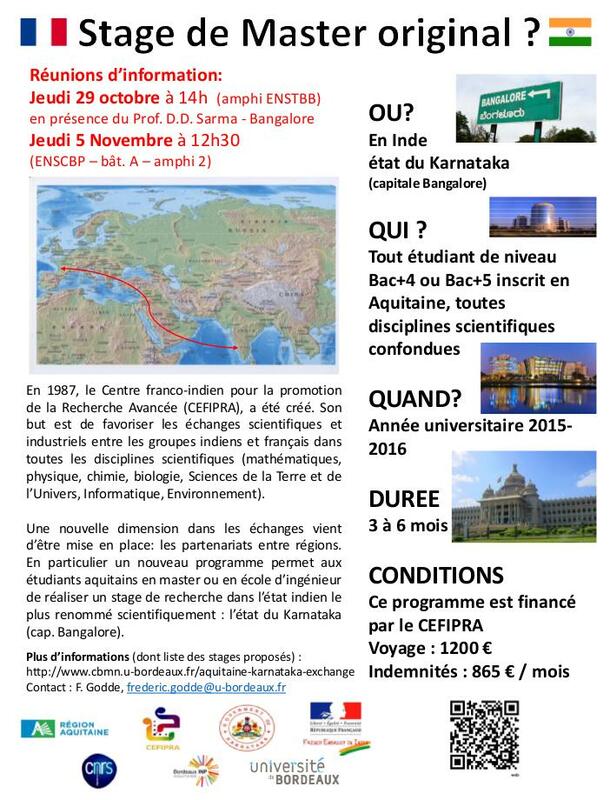 During his visit to Bordeaux, October 29, 2015, Prof. DD Sarma, Director of Solid state and structural chemistry unit of the prestigious Indian Institute of Science in Bangalore and member of the Governing Board of IFCPAR, will take this opportunity to introduce the IFCPAR programs - particularly the pre-doctoral exchange program between Aquitaine and Karnataka.